HUNTSVILLE, Ala. (NASA PR) — As the Japan Aerospace Exploration Agency‘s H-IIB rocket carries NASA’s Life Sciences Glovebox toward its berth on the International Space Station, hardware specialists at NASA’s Marshall Space Flight Center in Huntsville, Alabama, and their partners around the world are eager to initiate new, high-value biological research in Earth orbit. The JAXA H-IIB rocket, hauling the state-of-the-art microgravity research facility and other cargo via the H-II Transport Vehicle-7 (HTV-7), successfully lifted off at 1:52 p.m. EDT on Sept. 22 from Tanegashima Space Center in southern Japan. Its launch, previously delayed by inclement weather and technical issues, marks a first for hauling bulky equipment to space. Roughly the size of a large fish tank, the Life Sciences Glovebox — 26 inches high, 35 inches wide and 24 inches deep, with 15 cubic feet of available workspace — is officially the largest flight hardware ever launched in a “soft-stowed” configuration in which the equipment is packed securely in protective foam. 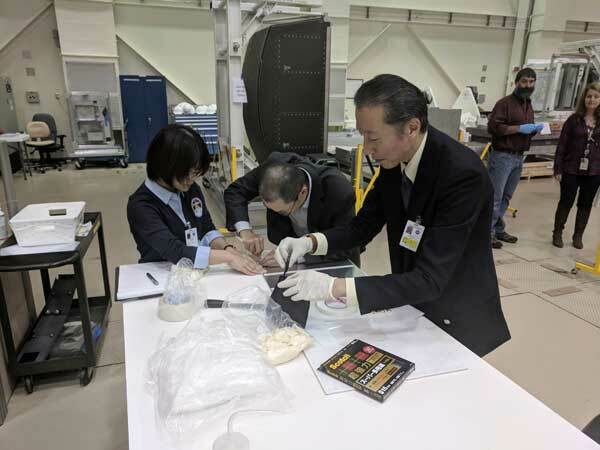 The Life Sciences Glovebox will be transferred to a zero-gravity stowage rack in the station’s Kibo module, where up to two crew members can conduct one or more experiments simultaneously, overseen in real-time by project researchers on Earth. 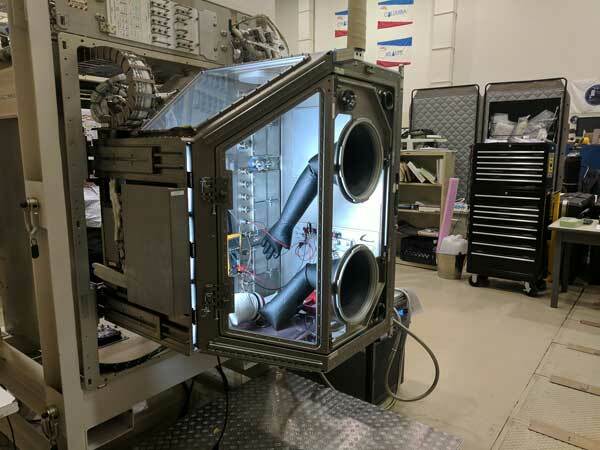 Originally built by JAXA and the Dutch firm Bradford Engineering, the glovebox was redesigned and upgraded in 2017. Engineers at Marshall contributed its secondary support structure and thermal control and power control systems and designed the facility’s power supply, air filtration, lighting, video and data recording and real-time downlink capability. Marshall manages the Life Sciences Glovebox for NASA and monitors space station science and communications from its Payload Operations Integration Center, supporting the ISS Research Integration Office at NASA’s Johnson Space Center in Houston.